It's been a little more than 100 days since the Democrats were restored to power in the U.S. House of Representatives. They haven't accomplished much, aside from talking. Some of what they have to say is just partisan politics, theater for the folks in the cheap seats they need to keep in line until the next election. There are other things they are talking about doing of which we should be wary. One is House Speaker Nancy Pelosi's plan to reduce prescription drug prices by promoting binding arbitration, an idea the president apparently finds surprisingly attractive. Pelosi's plan empowers unaccountable government officials to have the final word on how much Medicare should pay for certain drugs. This price controls by a different name approach has attracted support from numerous lawmakers -- but it's a terrible idea. Implementing this plan will reduce competition, the one mechanism that guarantees seniors can find a range of options that allow them to get what they need at the lowest cost and highest quality. The one-size-fits-all, government plan Pelosi wants doesn't do that. In fact, it upends the current system. Currently, for traditional drugs picked up at the pharmacy, the government doesn't provide prescription drug coverage to Medicare beneficiaries directly. Instead, it allows private insurers to sponsor and sell drug plans to seniors and people with disabilities. Insurers compete with one another to win seniors' business. Typically, insurers are usually able to negotiate bulk purchase agreements with drug companies. Occasionally though, insurers think a drug company's requested price is too high. Right now, when negotiations over price stall, the government doesn't do anything. The feds generally take a laissez-faire approach and let insurers decide which drugs to include or exclude from plans. 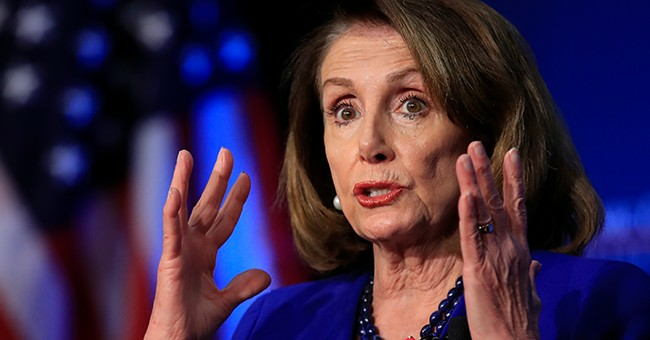 If the Pelosi binding arbitration plan becomes law, the hands-off approach comes to an end. Her vision is a healthcare system that allows Medicare officials to intervene in price negotiations. If an agreement can't be reached, Medicare administrators could appeal to a government-appointed arbitrator. Medicare would suggest a price and explain why it was fair. So would drug manufacturers. Patient interests, at that point, go out the window. Both sides having put forward their best arguments, the arbitrators, in theory independent and unbiased, would choose one or simply propose their own price in a legally binding decision neither side could appeal. Except, unlike the way that works at the Better Business Bureau, the government arbitrators would probably be predisposed to side with Medicare in any conflict or, for political reasons, go even further. Germany passed a similar binding arbitration policy in 2010, giving the government enormous power to set drug prices. As a result, drug makers are less willing to sell their products in Germany. When a new cancer medication is approved by regulators anywhere in the world, American patients can access it within three months, on average. By contrast, German patients must wait 11 months, on average. For cancer patients, an eight-month delay can be a death sentence. Unlike elected officials, arbitrators couldn't be voted out if their decisions harm patients. They'd be virtually unaccountable -- like those named to the widely reviled Obamacare Independent Payment Advisory Board, thankfully abolished by Congress in 2018 before it could unilaterally slash Medicare payments and limit patients' access to certain treatments. Binding arbitration in this context is just a euphemism for price controls. The policy would discourage innovation and leave patients without the drugs they need. Like all price-control schemes, the policy would upend the research ecosystem. It takes an average of $2.6 billion to create a single new medicine. That includes the money on drugs that never reach the market because they fail to make it through mandatory clinical trials. Only 12 percent of drugs that enter the first phase of clinical trials are approved by the FDA. Drug companies currently plow billions into research projects, hoping that just one experimental drug will become a blockbuster medicine. But if the government could use arbitrators to indirectly set artificially low prices for medicines, such investments would become too risky. Research spending would decline. Medical breakthroughs -- on everything from cancer to Alzheimer's and diabetes -- would be few and far between. And future patients aren't the only ones who would suffer. Binding arbitration would make it harder for many Americans to get the newest medications right now. President Trump needs to reject the Pelosi plan in favor of a market-based approach that uses competition to bring prices down. Peter Roff is a senior fellow at Frontiers of Freedom and a former U.S. News and World Report contributing editor who appears regularly as a commentator on the One America News Network. He can be reached by email at RoffColumns@GMAIL.com. Follow him on Twitter @PeterRoff.